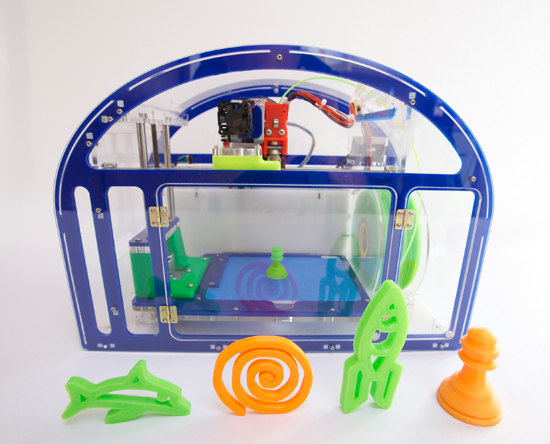 Accessible 3-D printing is on the horizon. The futuristic technology promises rapid and efficient assembly of a wide range of objects, ranging from everyday household materials to weapons, food and more. While 3-D printers have been around since the 1980s, they have a long history of high cost, confusing software and poor delivery. However, starting less than 10 years ago, a new wave of engineers have developed models that promise a high level of success in reproducing plastics, and designs have been submitted for projects as large as houses. As can be expected, most of these massive operations cost thousands of dollars, and many require advanced technical knowledge to run effectively. That’s where Mission Street Manufacturing comes in. This startup out of Santa Barbara, Calif. promises a unique package: affordability and ease of access. Starting from scratch, they have developed a prototype that promises to deliver high-quality 3-D printers to schoolchildren in an effort to teach hands-on science and creativity. The startup began as many do - with a friendship. The founders, Brian Jaffe and Gabe Rosenhouse, have a long history of ambitious projects, dating back to middle school science fairs. While their paths split as they entered adulthood, with Jaffe serving in the Navy while Rosenhouse attended the University of Chicago as a PhD candidate in neurobiology. The two met up, and Jaffe brought up the idea of crafting a 3-D printer that kids could use without breaking the bank. Rosenhouse liked what he heard, and started working on the project. Eventually, lured by the idea, his friendship with Jaffe and new-found compatriots in Southern California, and, crucially the weather (beach town vs. windy city, who could argue with that? ), Rosenhouse eventually decided to dedicate his efforts to Mission Street Manufacturing, full-time. Now, just one year later, the startup is turning heads. While there were issues getting up to speed, especially while coding for the sort of precise measurements that 3-D printers require, the team met its deadline of delivering a working prototype. 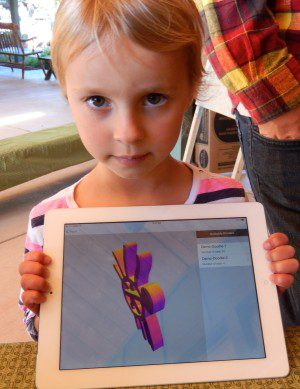 They successfully started a Kickstarter campaign for the Printeer, which will allow children to design and print their own creations from an iPad. The fundraiser has more than doubled its goal, just another sign of the interest in the field. What’s more, the Printeer is already in use in local schools, delivering hands-on classroom demos that never cease to delight kids of all ages. The company’s goal is to help bridge the gap between drawing board and technology. It’s pretty obvious that in the digital age, a truly well-rounded education will need to familiarize children with technological advances. Mission Street Manufacturing hopes that it will spearhead a new wave of classroom innovation with the Printeer. While the product quality is admittedly not equal to other models, it’s also often $1,000 cheaper, and it doesn’t require knowledge of coding. Once you take the goal of providing young children with the tools to materialize their creations into mind, everything fits perfectly.